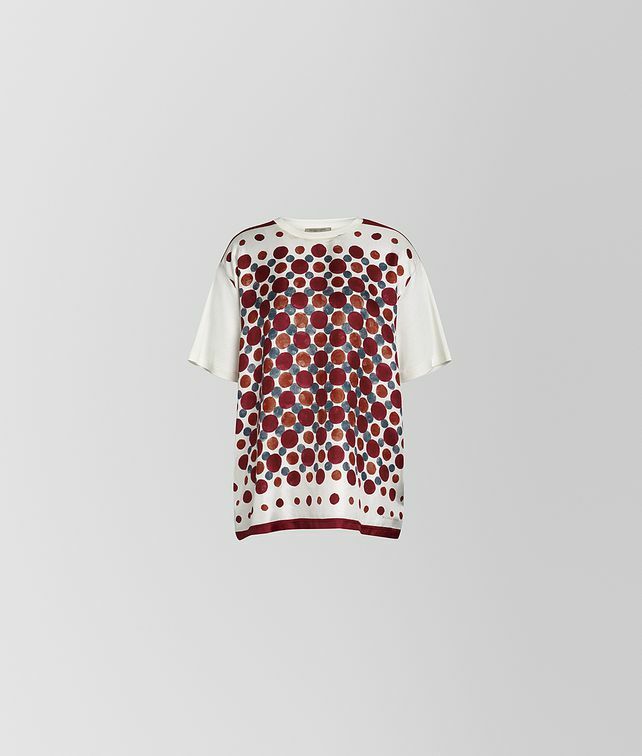 This T-shirt is a luxurious take on the classic wardrobe staple. Cut from luxury silk features a blow-up version of the pointillist prints featured throughout the Cruise 2019 collection. Mix it with the collection’s other lively motifs.